Here in the UK, we don’t use the term entrepreneur like it is used in the US. It is more on the terms of a millennial thing nowadays. However you look at it, an entrepreneur really means someone who wants to be in control of their own life and make their own destiny. 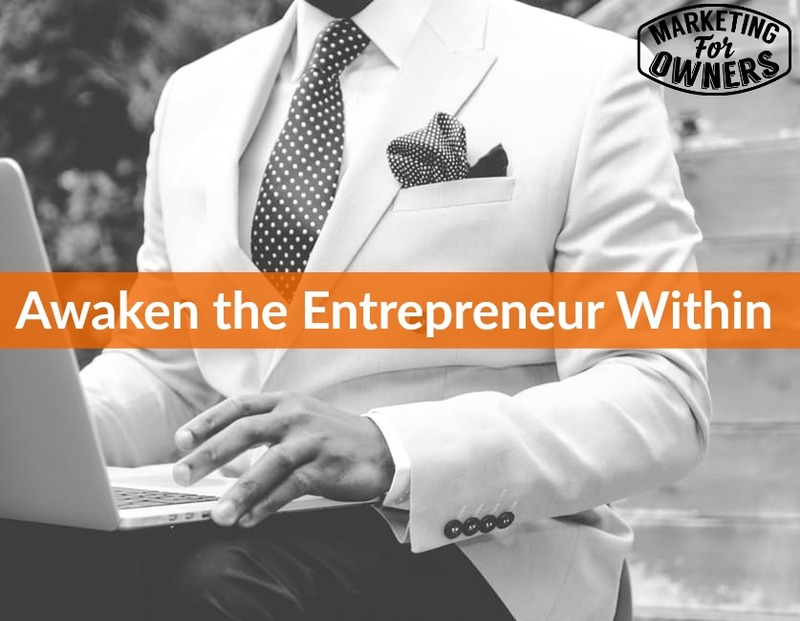 If you are in business and self employed, you are in control of your destiny, but you probably don’t think of yourself as an entrepreneur, but you are. So you need to waken that person within you. Firstly, a lot of us are drilled at school about getting a job and working for the man. In fact, my daughter is at university right now and will walk away with a huge debt because she is working towards getting a job, but that is the norm nowadays. Things are going to change. As life moves forward and increasingly accelerates, things are going to change. For example, we now have driverless cars. Think about how that is going to change things. People will lose jobs and things will be automated out of existence. So it is better for you to be your own boss, get into the entrepreneurial spirit so that you can have a successful career. You need to understand that you are an entrepreneur and you are in control. You are just not in a business. The first thing I would want you to focus on is your why. Why are you doing this? When you started, there must have been a reason you just didn’t want to get an ordinary job. So — why did you do it? And don’t say that it is because of the money. Most of the time it is because you loved it from the start, so sit down and start asking yourself what your why is. Why do I do this job? Why am I in this position? Next, you need to think about where you want to be in about 3 years. This is where some of you are missing out. Once we have planning, then we can some goals, and then some strategies and heading towards our target. Think of where you want the business to go because that will give you the game plan to where you want your business to grow. Once you figure out what you want in the future, you can start thinking more long term, and then you can build a strategy. Once you have a strategy, you can start building on that and making projects that get you closer to the goal. If you want to go from the bottom to the top, you have time between the start and finishing point. You need to know the time, whether you want to go in a straight line, etc. There will be stages in between so there will be breaks in between. You just need to work it out to each stage. If you realize you are an entrepreneur, you can move forward in your business and one of the ways that you do that is by reading books and gaining more knowledge. A lot of these people are not like the Google guys or Steve Jobs. Don’t believe the hype. Please, please please try and learn some more. See what other people are doing, and find a way to let that inspire you in your business. You can do the same. Today is Thursday and that means it is time for a drive time podcast. 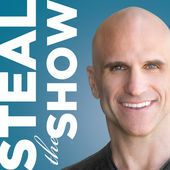 Today I am recommending Steal the Show. A couple of days ago, I encouraged you to make the most of your speaking opportunities. Well Michael Port is an amazing speaker! He used to be an actor. But he is great at speaking and his podcast is amazing. Go and listen to it and be sure to come back tomorrow to check out our Ones to Watch interview series.